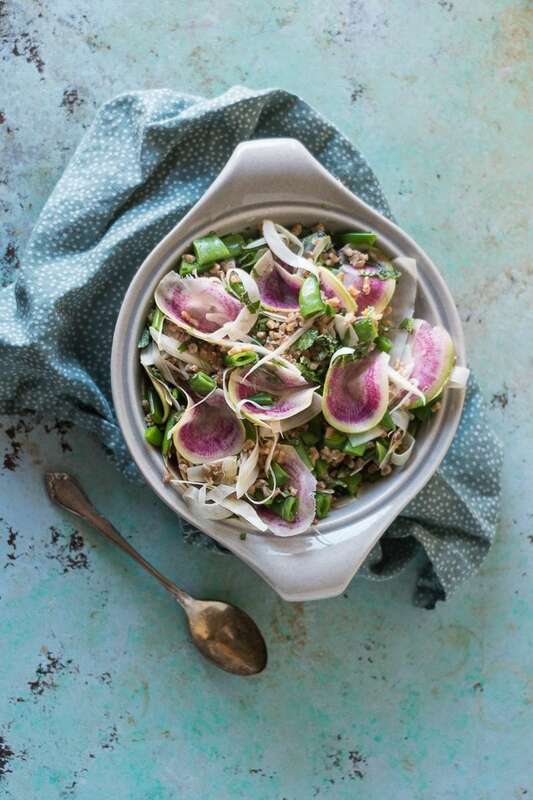 This sugar snap pea and farro bowl tastes like spring. It is vibrant and earthy like a rain-washed field. Green with sugar snap peas, pops of pink from watermelon radishes, and delicate barely-tinged-green-white from the fennel. 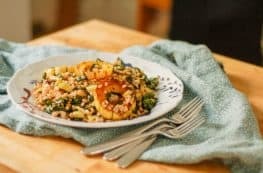 There’s crunch from the vegetables and nubbly goodness from the farro, which gives the dish a textural dynamism I find delightful. The whole thing is swathed in a buttermilk dressing that’s been showered in bright herbs: mint, parsley, chives. It sits squarely at the intersection of hearty and light. The kind of thing that manages to feel satisfying without leaving any residual heaviness behind. Blanching the sugar snap peas brings out their sweetness when we’re working with peas that aren’t quite yet in season around these parts and keeps their green vibrant. 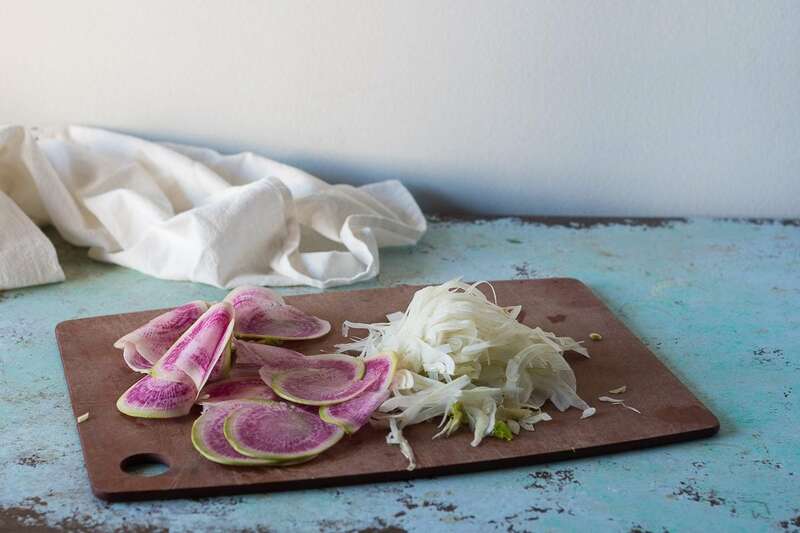 Shaving the fennel and radishes with a mandoline enables them to retain their crunch while being paper thin. 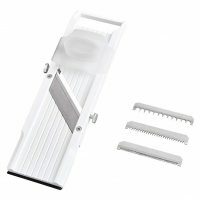 You can just slice them extra-thin with a knife if you don’t have mandoline. And really, while I love how gorgeous watermelon radishes are, you can use any radish variety you like here. The peppery bite provides a nice counterpoint to the tang and sweetness of the buttermilk and peas. The buttermilk dressing here is lovely. It’s tangy and herby with dill and parsley and mint and chives. I love how the warm farro soaks it up. It’s the kind of thing I can throw together and happily eat for lunch for the next several days. Perhaps you’ll find it slips easily onto your table, too. 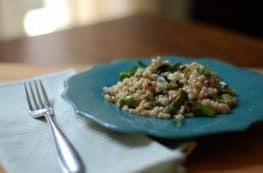 This sugar snap pea and farro bowl is a great make-ahead meal. Blanching the sugar snap peas brings out their sweetness and gives them a tenderness without losing their lovely snap. I like shaving the fennel and radishes with a mandoline, but if you don't have one, just slice them as thinly as you can with a sharp chef's knife. I love the look of watermelon radishes here, but don't drive yourself crazy looking for them if they aren't at your local grocery store--just use whatever radishes you like. I like to grate the garlic on a microplane so it melts into the dressing, but again, if you don't have one, just mince it as finely as you can with a knife. This keeps well for a few days. I like it warm or at room temperature, but it's not bad straight out of the fridge either. 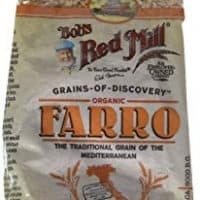 Cook the farro. Rinse the farro in a fine mesh strainer and add to a medium saucepan along with about 4 cups of water and a pinch of salt. Bring to a boil, reduce to a simmer and let cook until al dente 25-30 minutes. Meanwhile, heat a medium saucepan over high heat and prepare an ice bath. When the water in the saucepan comes to a boil, add the sugar snap peas and blanch for 2 minutes. Immediately strain the peas and add them to the ice bath to stop the cooking. When the peas are cool, strain them from the cold water (removing any remaining bits of ice) and pat them dry. Slice them into 1-inch pieces. Make the dressing. 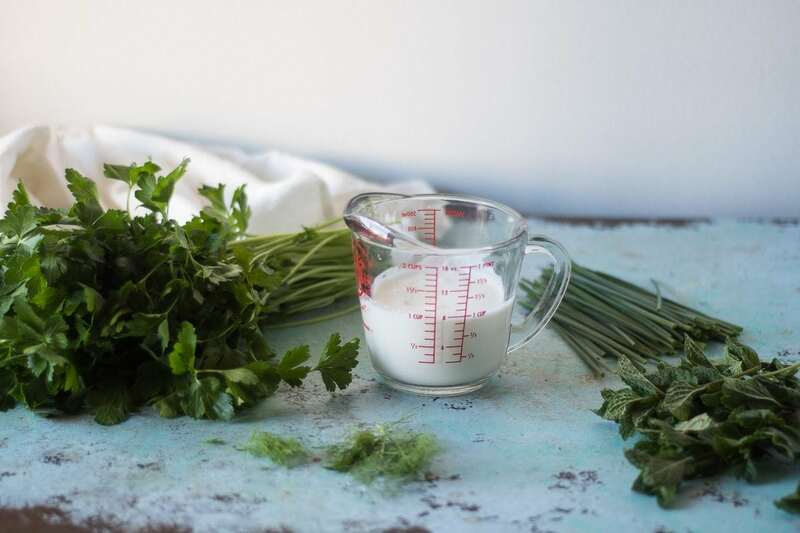 Whisk together the buttermilk, olive oil, and lemon juice, and garlic in a small bowl or liquid measuring cup. Add the herbs and season with salt and pepper. 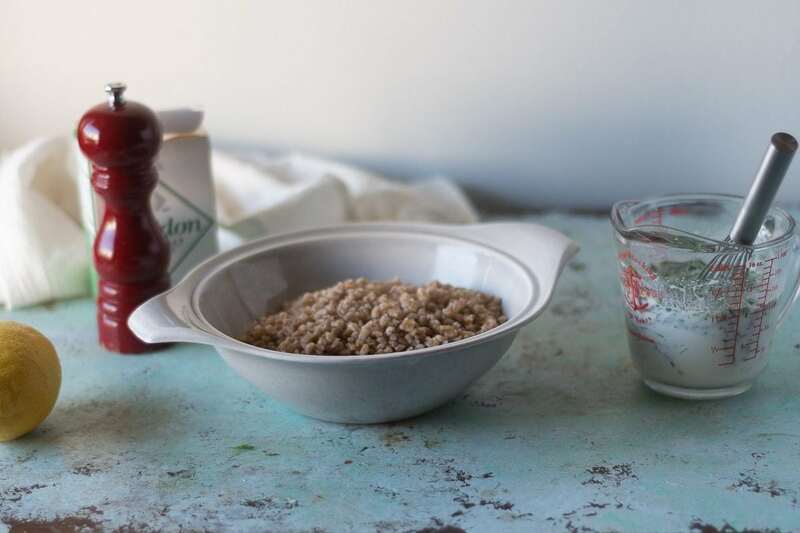 When the farro is done cooking, strain out any excess water and add to a large mixing bowl. Add the sugar snap peas and shaved fennel and radish and stir to combine. Add the buttermilk dressing and stir to coat. Serve. Yum! What a simple and healthy meal! This would be perfect for a take and go lunch. Thanks for sharing! Luci’s Morsels | fashion. food. frivolity. I love slicing fennel with a mandolin–shaved fennel salads are a favorite around here! A lovely combination of flavours. I love the delicate fennel and radish slices, I’m saving this! What a perfect lunch! This looks so healthy and fresh — so delicious! Great post and recipe! Thanks for sharing.